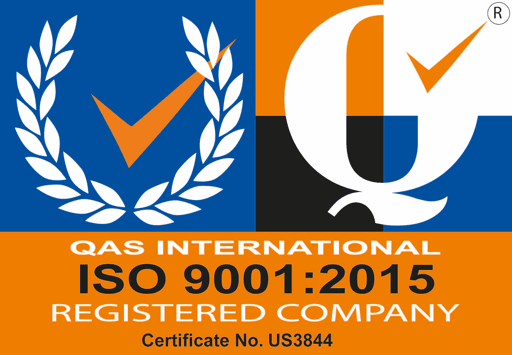 BCE, your partner of choice in vacuum heating technology! 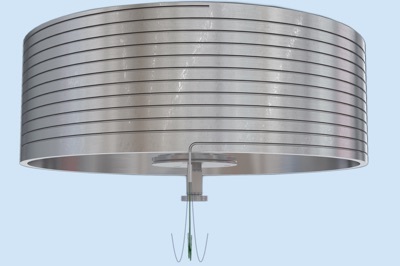 Providing uniform heat to wafers in a degassing chamber is critical in extracting impurities from semiconductor devices. BCE’s Vacuum Ring Heater supplies even and efficient heat transfer to achieve the most desirable conditions for such applications. 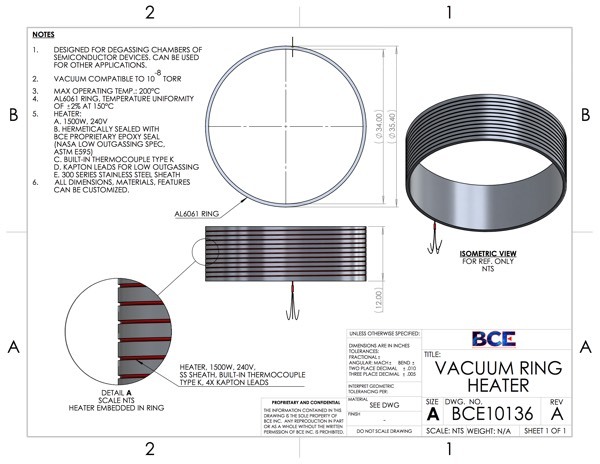 This BCE product is a two part assembly consisting of a SS sheathed heater as the primary heat source, embedded into the machined grooves of an AL6061 ring. The dimensions of the ring can be altered to allow for a perfect fit within a chamber without compromising performance. In fact, this ring achieves an unparalleled temperature uniformity of ±2% at 150°C. AL6061 ring (other options available): Temperature uniformity of ±2% at 150°C. Heater (other options available): 1500W, 240V; Hermetically sealed with BCE proprietary epoxy seal meeting NASA low outgassing spec (ASTM E595). Kapton leads for low outgassing. 300 series stainless steel sheath. Moreover, all features of this product are vacuum compatible to 10-8 Torr. This is achieved by sealing the heater with BCE’s proprietary epoxy meeting NASA’s low outgassing spec, ASTM E595, and ensuring that all leads are KAPTON insulated to minimize contamination.